a) There is no established state religion. b) There is one law for all and its application is not hindered or replaced by religious codes or processes. c) Individuals are neither disadvantaged nor discriminated against because of their religion or belief, or lack thereof. d) Freedom of expression is not restricted by religious considerations. e) Neither the state, nor any emanation of the state, expresses religious beliefs or preferences. 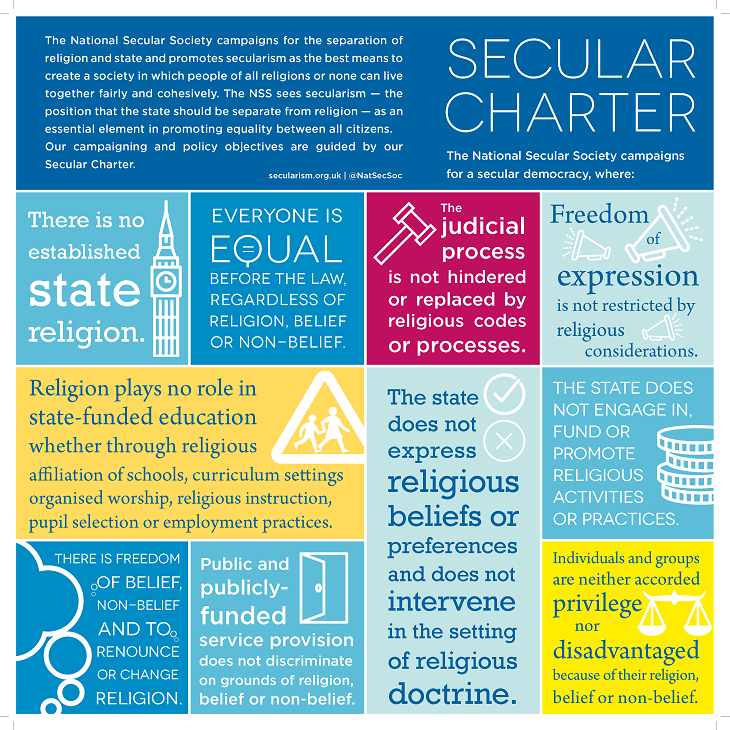 f) Religion plays no role in state-funded education, whether through religious aliation, organised worship, religious instruction, pupil selection or employment discrimination. g) The state does not engage in, fund or promote religious activities or practices. 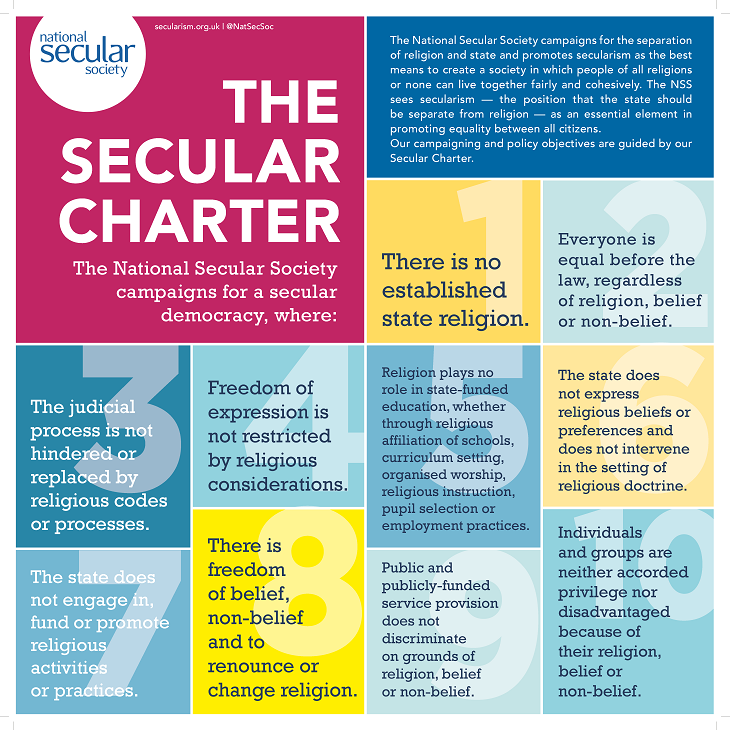 h) Public and publicly-funded service provision does not discriminate on grounds of religion or belief. i) There is no privileged position in society or advantage in law for any individual or group by virtue of their religion or belief, or lack thereof. j) The state does not intervene in the setting of religious doctrine or the running of religious organisations.